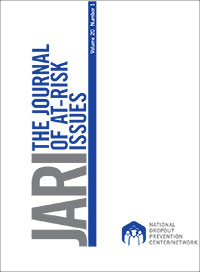 The Journal of At-Risk Issues (JARI), published by the National Dropout Prevention Center, is a nationally refereed journal that contains articles on research and practice in the areas of dropout prevention and youth in at-risk situations. It is published in the summer and winter and abstracted in ERIC. 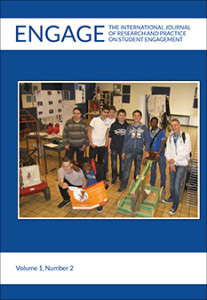 The National Dropout Prevention Center is pleased to sponsor ENGAGE: The International Journal of Research and Practice on Student Engagement. ENGAGE raises awareness of issues related to school engagement as it explores and shares strategies and solutions that work globally. School engagement means that all constituencies need to be engaged in the school experience: students, teachers, administrators, parents, and members of the community including, but not limited to, businesses and social service organizations. ENGAGE is internationally refereed. The journal is published twice annually by the National Dropout Prevention Center and the Clemson University Digital Press. The online version of the journal is interactive and is freely accessible.